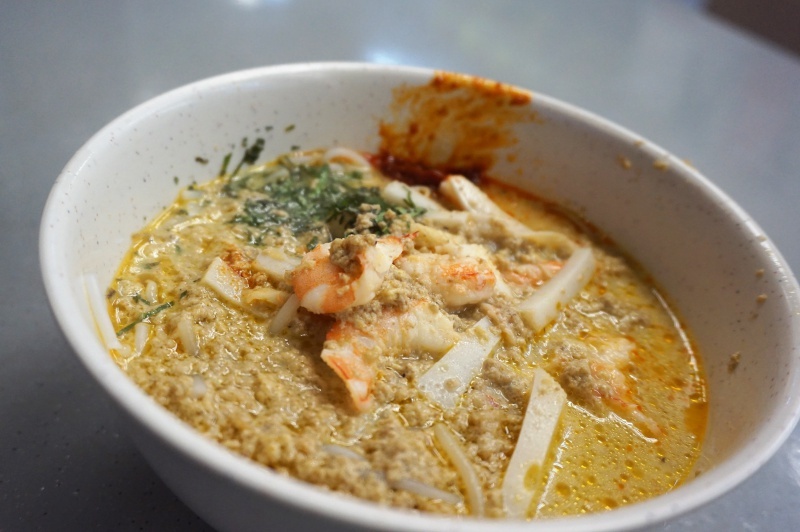 The Original Katong Laksa – The legendary of this local Nyoyah staple food was concocted from Katong / Joo Chiat by the Janggut or the beard man who may have created this popular dish. The once street food in the early days is now occupying a stall at the small food court in Roxy Square, somehow, The Original Katong Laksa may not as famous as other popular laksa like 328 Katong Laksa inspired by Gordon Ramsay cooking challenge, however, The Original Katong Laksa has its tremendous charisma to keep the crowd for visiting the stall. 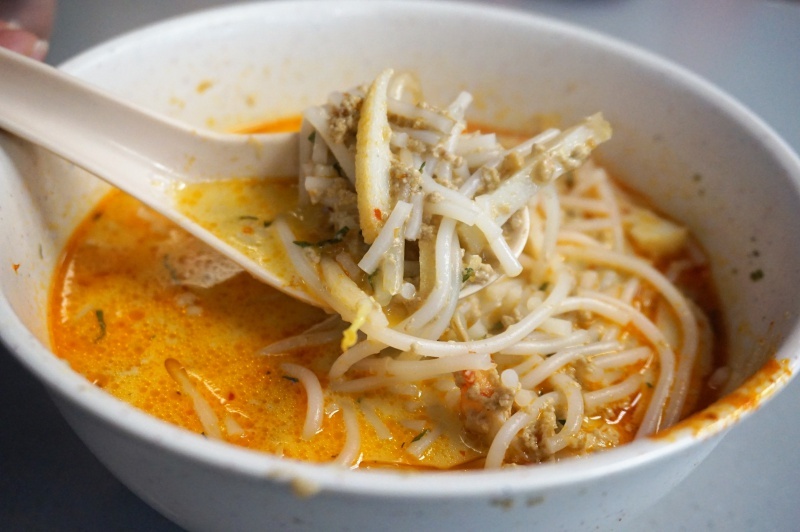 It is not in the stipulated rule but all original or authentic laksa seemingly defined its unique uniformity way of practice – you eat laksa only with a porcelain spoon without chopsticks or a fork. Does it make the laksa taste better by eating the noodle with spoonful of gravy in one mouthful? It seems to be the case and obviously no one has expressed a different opinion. So, let’s tuck in. Gravy is the soul of a good laksa, it encompasses complex food science to whip up the orange red bowl of broth, no extra chili added and the light touch of coconut milk make the distinct contrast that helps differentiated The Original Katong Laksa from others laksa stalls which usually rich in coconut milk. The relatively light and tame flavour has it merit, it will not give you the cloying feel and in fact each spoonful of the laksa is pleasantly flavourful, you can scoop up to the last drop without too much of the guilt. 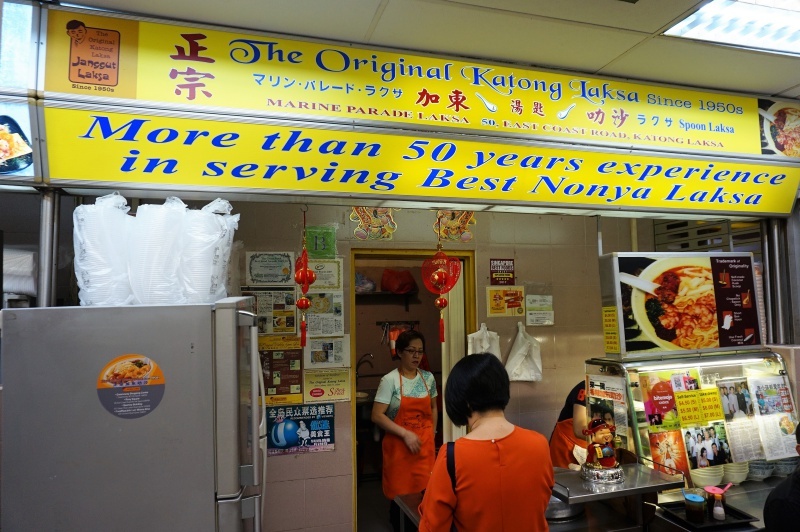 The Original Katong Laksa may appear nothing fanciful to some but we are adamantly agreed it delivered a bowl of comforting laksa with the most unadulterated nostalgia tastes that carrying with it the essence of our heritage.